“I want to thank the hundreds of volunteers who knocked on thousands of doors across the 12th Senate District to deliver our message. As a result of their effort, and the enthusiastic response of thousands of voters through the District, we finished election night with a slight lead. “But Tuesday night’s results also made it clear there are still a significant number of votes to count in the 12th Senate District. “Our campaign is prepared to monitor the vote counting in each of the six election offices in the counties which make up the senate district including, Fresno, Madera, Merced, Monterey, San Benito and Stanislaus counties. I want to thank you for your tireless support this year to elect Democratic Secretaries of State. Democratic Secretary of State candidates won in Colorado and Michigan, came up short in Iowa and Ohio. Meanwhile, Arizona and Nevada remain too close to call. And not to be overlooked, all of our incumbent Secretaries of State who were up for reelection won another term! To add to the momentum for democracy, voters from Florida to Michigan to Nevada took a stand against voter suppression, gerrymandering, and obstacles to the ballot box by voting for independent redistricting committees, “Motor Voter” automatic registration, and other proposals that are a victory for voting rights. These victories would not be possible without your support. But our fight is not over. The race in Georgia is headed to a runoff on December 4, and Brian Kemp, the GOP’s poster boy for voter suppression, will do everything he can to keep Democrats from the polls again. John Barrow’s race for Secretary of State was close on Tuesday, and with your continued support we can win this runoff in under 30 days. Thanks for being a part of our team as we continue to fight for victory! Valley voters elected a new generation of leaders on city councils, school boards, and in a newly flipped State Senate Seat! While the top of the ticket —TJ Cox and Andrew Janz—came up short and we weren’t able to eke out a victory (yet!). The energy, excitement, and thousands of doors reached made a difference. We won down ballot and established a foundation for future campaigns in the Valley. It’s clear that a new energy is emerging that we haven’t seen in a long time in our politics. ValleyWorks will continue to leverage that energy to elect leaders throughout the Valley who embody values that matter to working families. Our vision is much bigger and broader than one election cycle. It has to be for real change. We’re building a movement here in the Valley and that means we need to continue this work to build up an army of supporters—like you—to help us shape a Valley that works for everyone. Stay tuned in the next couple of weeks for important updates on our next steps and game plan. We need you with us even when the dust settles from this election. The Valley needs to stay one or two steps ahead, always. Amanda and the Valley Works team! Paid for by Valley Works, not authorized by any candidate or candidate’s committee. Valley Works is a grassroots organization powered by everyday people to fight for working people in the Central Valley. At Valley Works, we won’t stop organizing until we have elected officials who’ll fight for good-paying jobs, quality healthcare, and great schools for our children. There are other ways to stay involved — please continue to follow us on Facebook or Twitter, and thank you for supporting Valley Works. Sent via ActionNetwork.org. To update your email address, change your name or address, or to stop receiving emails from ValleyWorks, please click here. With millions of ballots left to come in, we are digging in and waiting for every vote to be counted. The kids of California are in it for the long haul and we are too. I’m so proud of the broad coalition we built, and I thank the thousands of educators, students, and public education advocates who communicated directly with voters until the polls closed yesterday. I ran for Superintendent of Public Instruction because I want to deliver to all Californians the promise that public education delivered to me – that all students, no matter their background and no matter their obstacles, can succeed with a great public education. We talked to voters across the state, and told them what this election means for each of us: It means giving every kid the opportunity to succeed in the 21st century, not just the ones that show the most potential. It means funding our public schools at the levels they deserve, not pouring money into our jails and prisons. It means providing mental health treatment for kids, not arming them with guns. It means supporting our teachers, not demonizing them. And it means stopping Donald Trump and Betsy DeVos’s anti-education agenda from coming anywhere near California’s public schools. Thank you to everyone who voted and to everyone who worked so hard to get us this far. We will continue to keep you updated as nearly 4 million votes are counted. Please consider keeping this fight alive with another contribution, it costs money to keep campaigns running post election day. Thanks for sticking with us in the long run. From the bottom of my heart, I wanted to extend my sincerest appreciation. Thank you. Thank you for your enthusiasm and your continued support over the last two years during my run for Lieutenant Governor. Your contributions to this campaign, whether time or money, made our campaign a truly people-powered effort. I know in my heart, regardless of outcomes, all of you elevated our campaign to be successful. It has been the honor of a lifetime campaigning statewide over the last couple of years. I was able to visit countless communities across California and experience the richness and uniqueness of each one. From coastal cities to mountain communities and rural farming towns to urban inner cities, California’s diversity is what makes it so different and special. Despite our differences though, I experienced a commonality amongst all the people in this state – hope for the future. Your hope united us to create change, regardless of our differences. Your hope for a better future for your children and loved ones. Your hope for a strong economy with job opportunities. Your hope for a quality health care system that is truly affordable. Your hope for an educational system that provides opportunity and knowledge without crippling debt. Your hope for a community that has clean drinking water and breathable air. These hopes were the driving force behind our campaign and a cornerstone of my motivations. They helped fortify my vision for the office of Lieutenant Governor. Though this was not the outcome we hoped for, I congratulate my opponent and know she will work hard to create a better California for all of us. I’d like to thank my supporters, friends, and most especially, my family. Thank you to more than 2.5 million voters that voted for me. Thank you to my daughters, Valerie and Jennifer, for always being positive rays of light. Thank you to my dad and mom for always believing in me and supporting my endeavors. But most importantly, I’d like to thank my wife, Diane, for her strength, love, and unwavering commitment along every step of this long journey. Copyright © 2018 Ed Hernandez for Lt. Gov 2018, All rights reserved. Paid for by Ed Hernandez for Lt. Gov 2018. This victory was not a given. There were hills to climb and obstacles at almost every turn. It would have been easier to give up. But that’s not the America that you or I believe in. We did it — Democrats took back the House! Tonight we proved what I have believed for a long time: When Democrats stand united, we are unstoppable. I am so incredibly proud to be on this team. This victory was not a given, not by a long shot. There were hills to climb and obstacles at almost every turn. It would have been easier to give up. But that’s not the America that you or I believe in. Those aren’t the values we stand for. That’s not the party we belong to. Instead, we fought for every single vote, in every single state. We invested over $30 million directly into state parties and campaigns, rebuilt our ground game by hiring organizers across the country, and talked to each and every voter about what we believe this country can be. It paid off: We didn’t just take back the House — we elected a historic slate of women, people of color, veterans, and members of the LGBTQ community. These leaders have changed the face of our party, and now they will change the face of our government. That’s progress in the truest sense of the word. So tonight, let’s celebrate hard work and the promise that Democrats can win when we fight for our values. Our work is far from done, but tonight I just want to say thank you. We did it. P.S. This election cycle, hundreds of thousands of grassroots donors took ownership of this party, and helped rebuild it the right way — from the grassroots up. We simply would not have made it this far without supporters like you. It’s Election Day, and Team TJ is out in full force turning out voters in the Central Valley. I’m getting ready to get back out there with the team, but right now we need your support to keep our turnout operation running at max capacity up until polls close at 8:00 pm PT. We wouldn’t be asking if this wasn’t crucial to our efforts. Can you rush $10 now to help get more voters to the polls so we can flip this seat? Subject: Election Day is here! It’s finally here. Today, voters in California’s 21st district will cast their ballots. If things go our way, we’ll FLIP this longtime Republican stronghold once and for all. We’re doing everything we can to make sure no supporters stay home today. We’re counting on you to keep our turnout efforts running without a hitch until the polls close at 8:00 pm PT tonight. Can you rush a last-minute donation of any size to make sure this race goes our way? Every dollar raised today goes directly into our turnout efforts. Thanks, Michael. Now, let’s get out there and flip this seat! Help Us Promote And Protect The Vote Today! Happy Election Day! 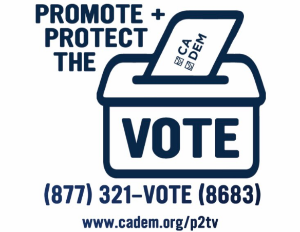 We’re hoping that you all can help us promote and protect the vote across the state. Millions of people all over California have already cast their ballots, and millions more are heading to the polls today. Amidst all this excitement, we have to be vigilant against attempts to suppress our votes or stifle enthusiasm for voting. 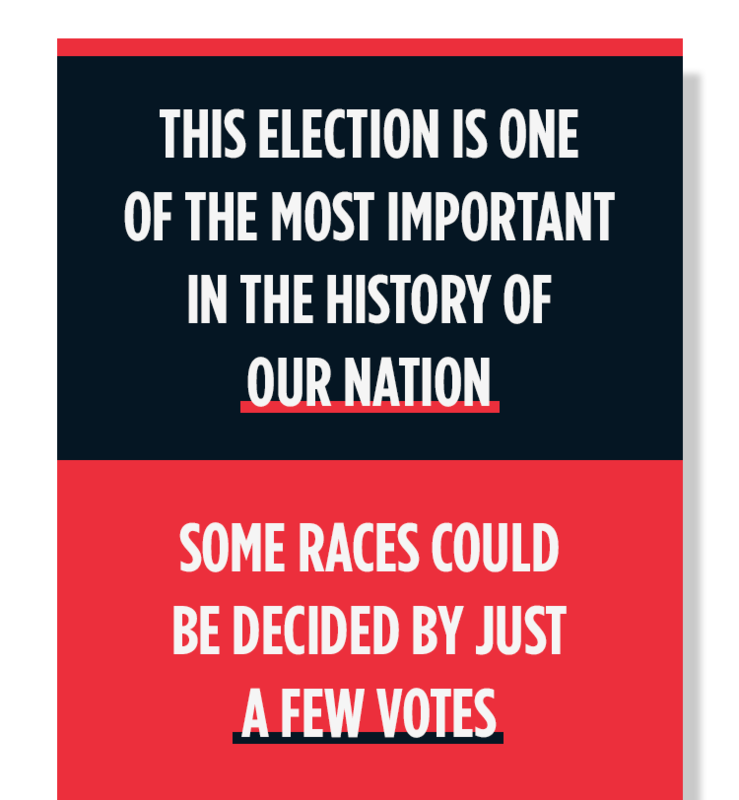 Can you help us make sure that all voters are able to participate in this historic election by sharing this graphic? 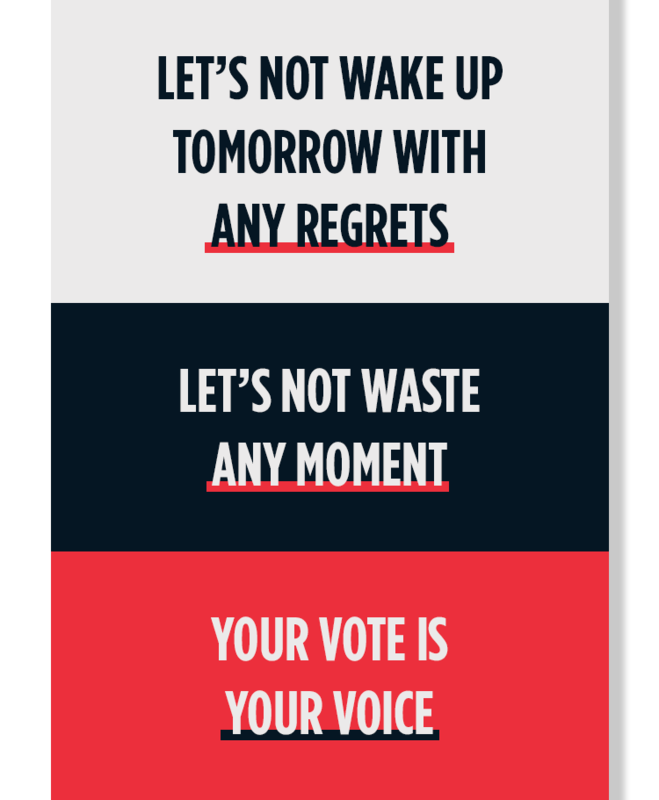 Voting is our most important right, and we must do everything we can to promote and protect it. Please report any suspicious activities to the above hotline, and have a great Election Day! Happy Election Day! Thank you from Rural California! Very grateful and touched by your extraordinary efforts! VOTE. Then celebrate with us! Today’s message is simple and important: VOTE. 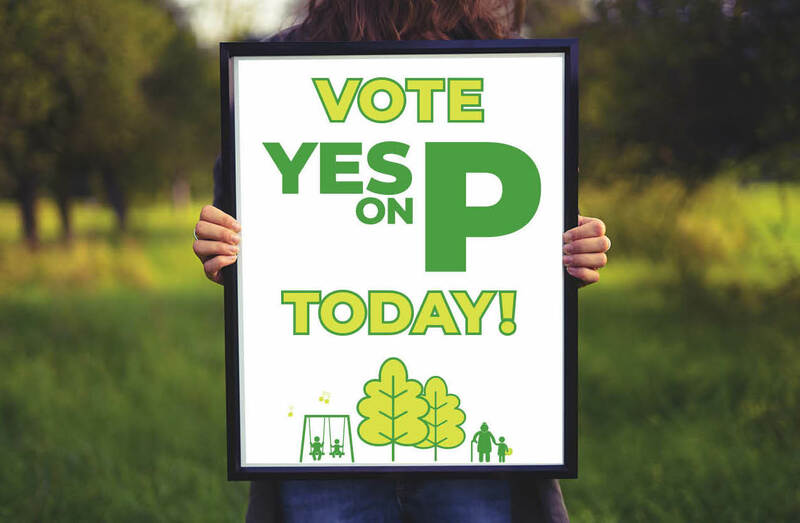 Vote for safe, clean neighborhood parks. Vote for better restrooms, playgrounds, and sports fields. Vote for disability access at all parks. Vote for recreational and arts programs. Vote for new parks where they are needed the most. Vote for jobs and improved property values. Vote for 80 miles of new trails. Vote for the future of Fresno. 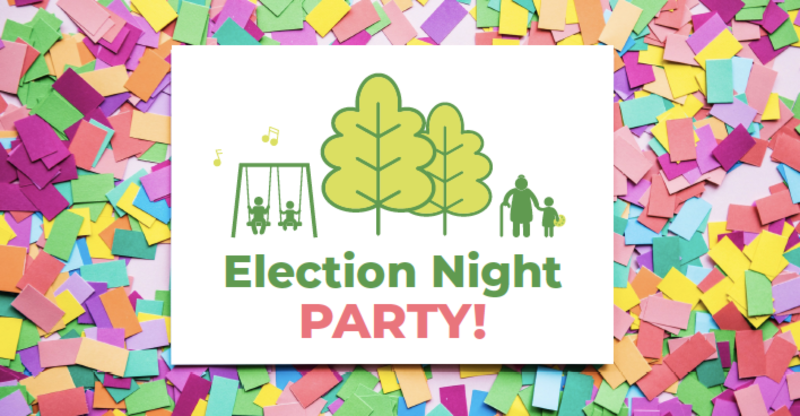 Then after polls close at 8:00pm, celebrate with us! Join us for an Election Night Party in the back room of Me-n-Ed’s Victory Grill at Granite Park (4010 N Cedar, Fresno, CA 93726). No matter the outcome, we want to celebrate and thank all of our donors, supporters, and volunteers who worked tirelessly for this campaign. Enjoy free pizza, arcade games, a no-host bar, & TVs tuned to local news. “It is clear the break-in and subsequent burglary of Assemblymember Caballero’s Merced campaign office was conducted by a person or persons who have a vested interest in trying to limit our campaign’s contact with voters on Election Day. “The theft of computers containing voter contact information, precinct maps, and scheduling details, along with thousands of doorhangers can only serve to benefit Ms. Caballero’s opponent. “The perpetrators have brought to the Central Valley the same kind of tricks, distortions and lies we are seeing at the national level. And they capped it off by committing a felony. Join us today in fighting on for justice, equality, and an economy that works for everyone by making a contribution to Kamala here. Thanks for everything you do for our campaign. Election Day is TODAY. Go vote! Look up your polling place and go vote. Finally, as California Democrats we have the opportunity to go to the polls and vote OUT Trump’s congressional clones here in California and elect Democrats here in our state who will continue fighting for our progressive values. Together, we are going to take the House — and our country — back from Trump’s hateful, white nationalist agenda. But only if we vote. Polls open at 7:00 a.m. across our state, and Californians will have until 8:00 p.m. to vote in person or drop off their mail-in ballots. 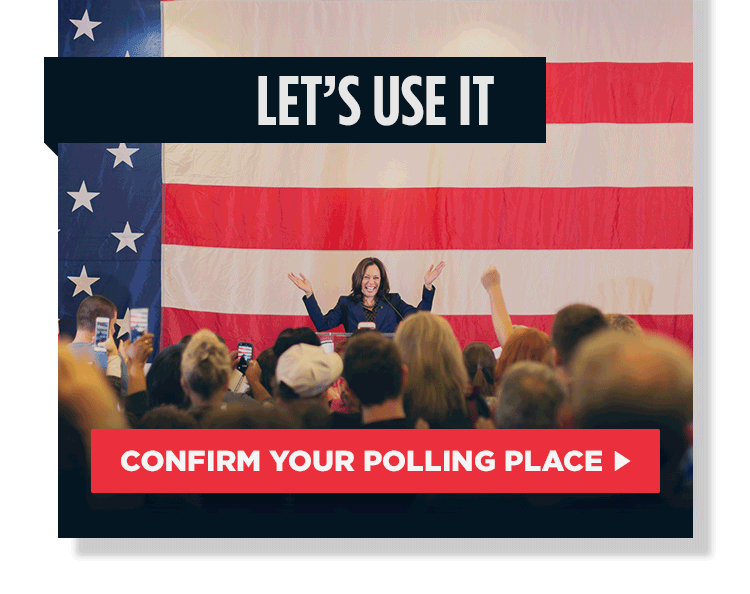 Just click here to look up your polling place — and then, go and vote! Your voice counts, so be sure to vote up and down the ballot. Now, let’s go and make our voices heard. P.S. Need some help filling out your ballot? Click here to enter your voting address and view the endorsements from the California Democratic Party specific to your ballot.